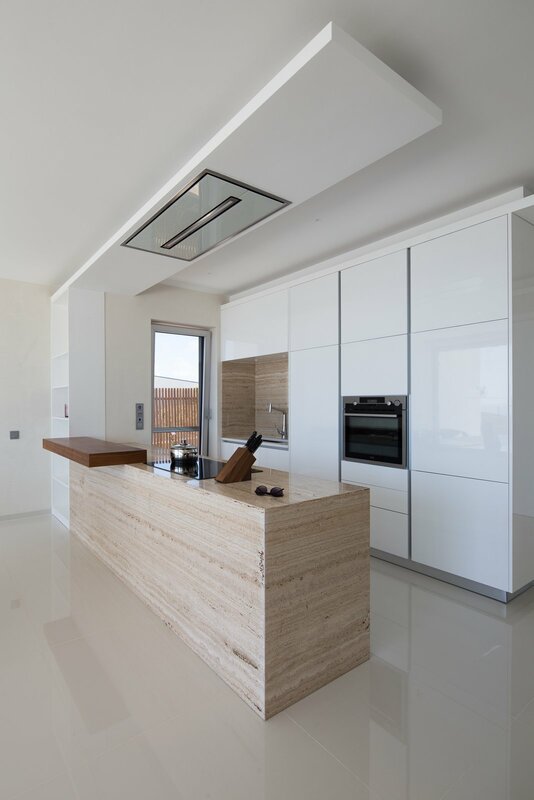 Natural materials in the kitchen include a travertine-wrapped peninsula. Travertine also defines an alcove around the sink. A chunk of American walnut forms the counter overhang.